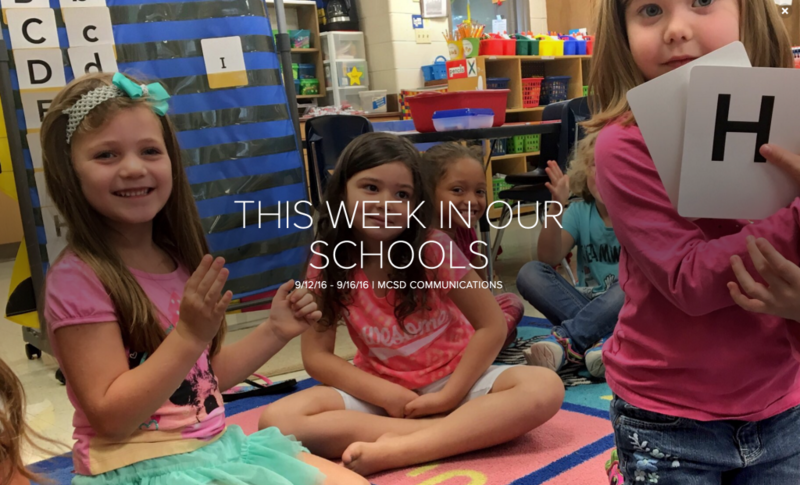 Click on the picture below to go to this week’s edition of This Week in Our Schools! District-wide Elementary: 5th Grade Band Students. Colorado Elementary: Students Dab for Devin! Colorado: ELL, TAG, Primary Readers, and 5th Grade P.E.! Franklin Elementary: Miss Clemens’ Kindergarten Class. Franklin Elementary: Mrs. Van Hemert’s 4th Grade Class. Grant Elementary: Grant’s Student Leadership Team. Grant Elementary: Mrs. Gladwell’s New Birthday Tradition for Students. Jefferson Elementary: A Special Gift. Jefferson Elementary: Miss Lindsey’s 3rd Grade Class. Madison: Mrs. McGill’s 3rd Grade Class. Mulberry: Mrs. Green’s Kindergarten Class. CMS: Mrs. Duffe’s 6th Grade Math Class. CMS: United Way’s Day of Caring. WMS: 8th Graders Making a Difference. MHS: Mrs. Kelsey’s, Mrs. Wells’ and Ms. Robison’s Special Education Classes. MHS: Mr. Gehret’s ALC Class. MHS: Mrs. Long’s Physical Education Class. MHS: Mr. Mayer and Mrs. Sneed’s Industrial Tech Classes.